At the time of shop purchase, we put in and hand it over. I use green and brown handbags, but I like both with their sober colors. The size is just right. I want to continue ordering from now on. This review is about item#35652276. I wanted a paper bag of unlikely color so I bought black and the price was also reasonable and easy to buy. It seems that it can be used for packaging etc, so I will try to use it when a large thing comes out. This review is about item#35652382. Although it is small, since the gore is wide, I will have enough cake box. HEIKO's goods are of good quality, color was fashionable and used from before. This review is about item#35652312. The size is just right. The color is beautiful, but it is good if the paper quality is good. This review is about item#35652355. For delivery when retail merchandise is sold. I think cost performance is a good one. However, because there is no bottom plate, we use it only for light things. This review is about item#35652242. Easy to use with a calm color. If there is some strength there is no need to say. This review is about item#35652233. I thought that the tension will rise even though the paper bag containing the brighter color than the dark color paper bag is the same, so I bought it all together. However, since it comes with each type of paper bag one by one if it is contained together, it is regrettable because it is soft. This review is about item#35652197. 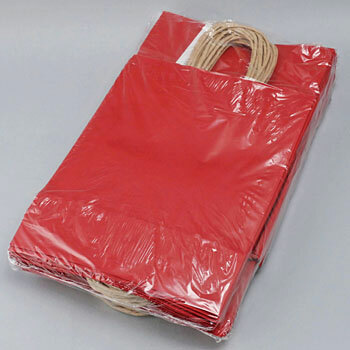 As a bag to have them take home when they bought goods (in business). I think that it is cheap and good. However, there is no reinforcement such as thick paper on the bottom, so you can only put light things. Since it is rich and simple such as size, color, it is helpful to choose according to the application. I also have a solid hand. Put the product and hand it over to the customer. It was red, it was a very beautiful oil, it was cheap and saved. I think Cospa is the best.